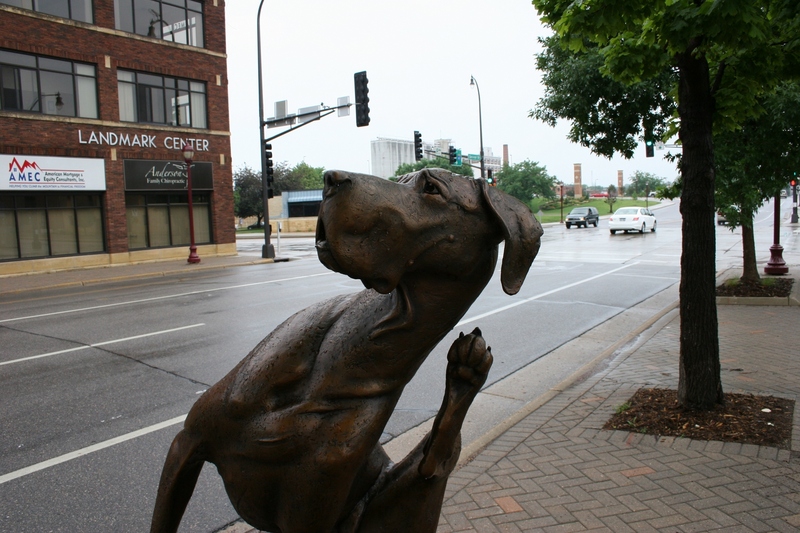 Louise Peterson of Guffey, CO. created this $20,000 bronze sculpture of a playful Great Dane titled "Tickled." 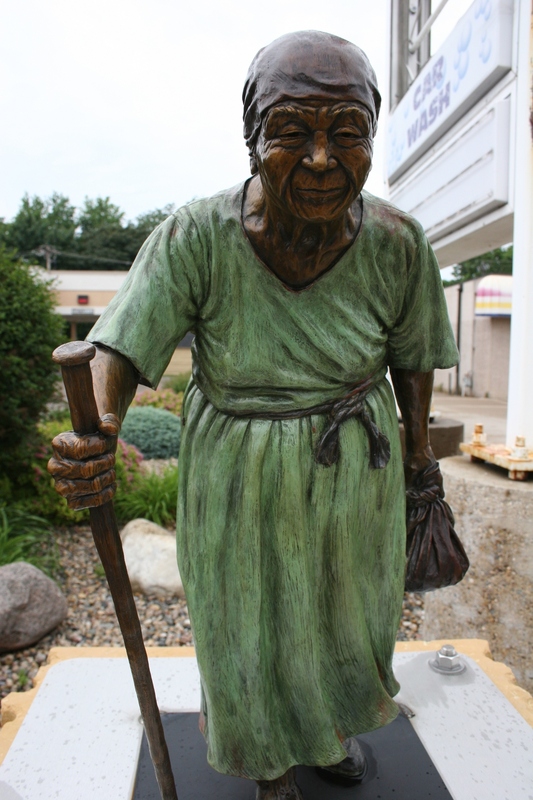 I realize that some, maybe even many, of you, do not live anywhere near Mankato, the southeastern Minnesota community where I recently viewed sidewalk sculptures. Heck, some of you don’t even live in states bordering Minnesota. Your chances of ever seeing these 25 pieces of art in person are about zilch. 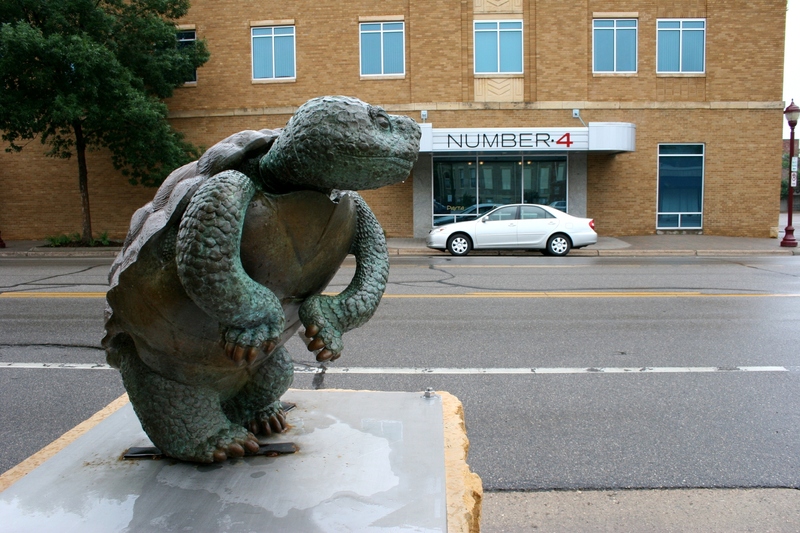 So, for those of you who will view the City Art Walking Sculpture Tour only via Minnesota Prairie Roots, I’ve pulled together one last blog post. Please read my previous two posts for more details and photos of this community art project by first clicking here and then here. This whole concept of bringing art to the streets through a rotating sculpture tour pleases me immensely. What a grand idea. Such art adds to the vibe of a downtown, to its art, history and culture. Thank you, Mankato, and everyone who supported this cause financially, for bringing these sculptures to southeastern Minnesota, within quick driving distance of my Faribault home. 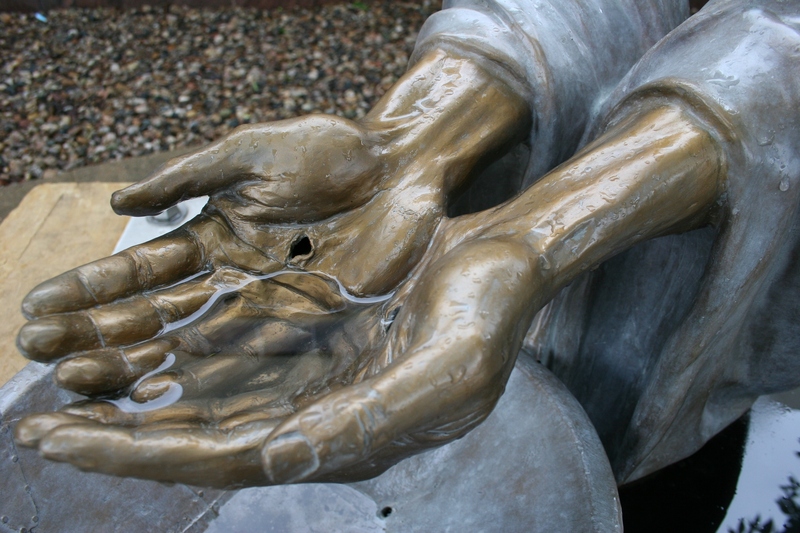 Sioux Falls artist Darwin Wolf's $13,500 sculpture, "The Fountain of Life," references Jesus washing Peter's feet at the Passover. It emphasizes the healing, life-giving qualities of water. 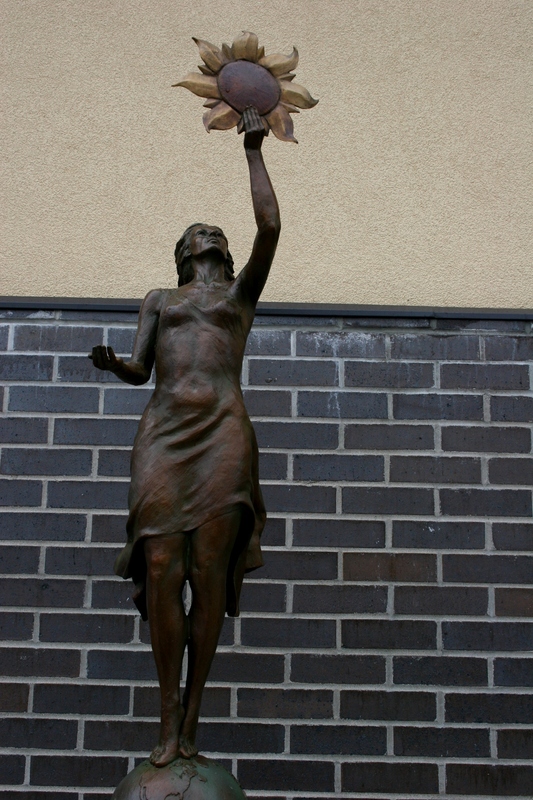 "Poco a Poco" a $12,000 bronze sculpture by Pokey Park of Tucson, Arizona, highlights the tortoise, representative of wisdom in American Indian culture. The building in the background houses Number 4 American Bar & Kitchen. 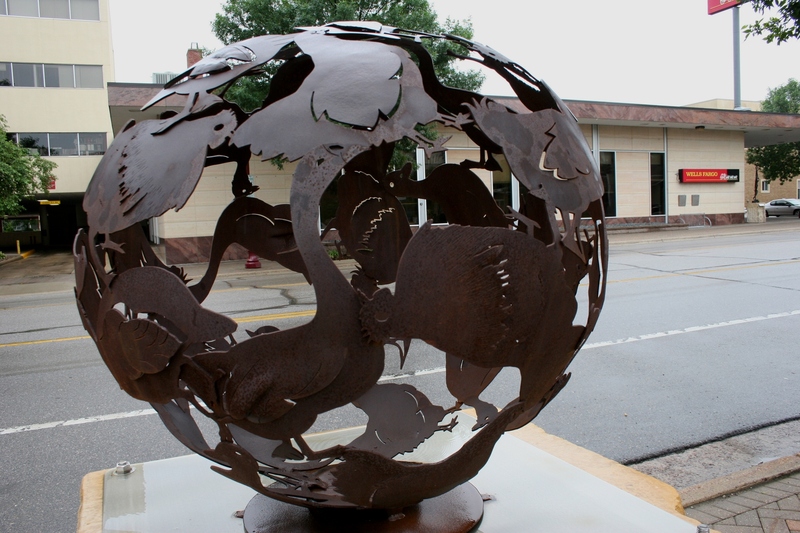 "Fowl Ball" celebrates geese, ducks, turkeys and chickens in this $7,600 forged and welded weathered steel sculpture by Lee W. Badger of Hedgesville, West Virginia. All of the sculptures are marked with informational signage. 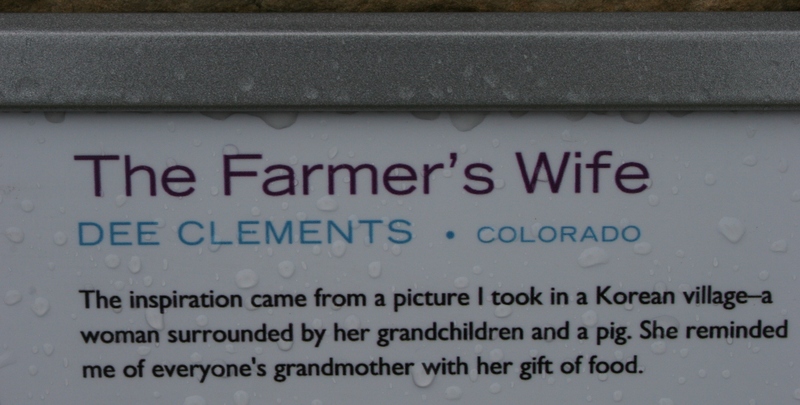 Dee Clements of Loveland, Colorado, created the $6,000 bronze "The Farmer's Wife," one of my favorite exhibit pieces. 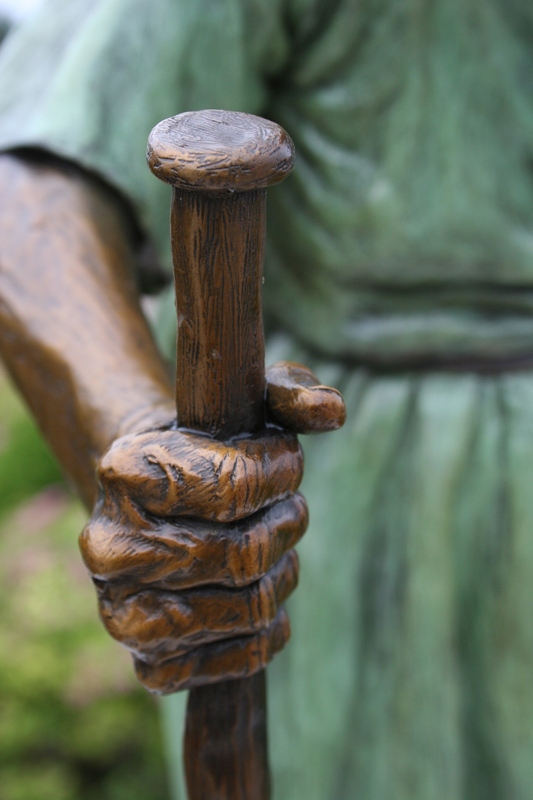 To fully appreciate these sculptures, you must notice the details, including the Korean woman clenching her walking stick in "The Farmer's Wife." 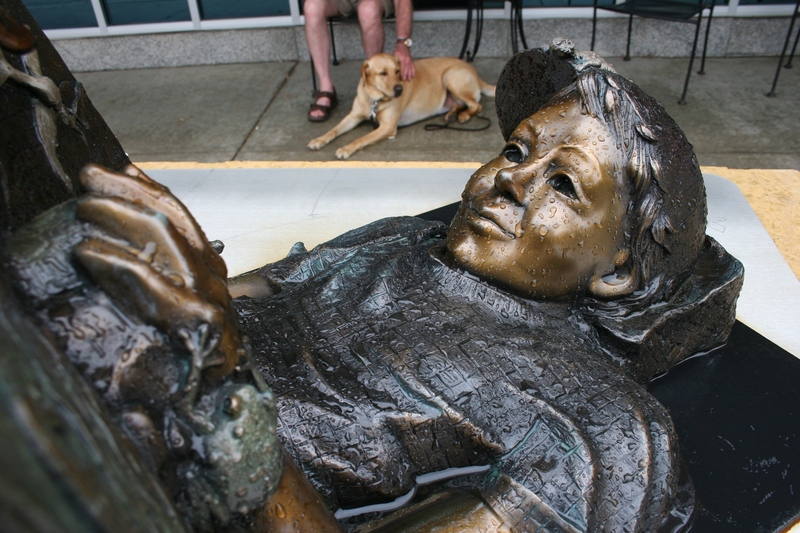 Details define "Reading Magic," a $8,500 bronze sculpture by Julie Jones of Fort Collins, Colorado. "Spirit of Energy," a $8,400 bronze by Karen Crain of LIttleton, Colorado, represents three renewable energy resources: sun, wind and water.